We are a leading Fabric Expansion Bellow Manufacturer in Kolkata. MOMTAJ RUBBER INDUSTRIES is an esteemed name for manufacturer & Supplier of Fabric Expansion Bellows in the relevant industry; we are offering a quality assured array of Fabric Expansion Bellows in India. Fabric Expansion Bellows are being manufactured based on proven technology and various type raw materials. Our manufactured Fabric Expansion Bellows or Joints are having unique advantages in muffling or interrupting noise transmission in pipelines in machine or pumps. 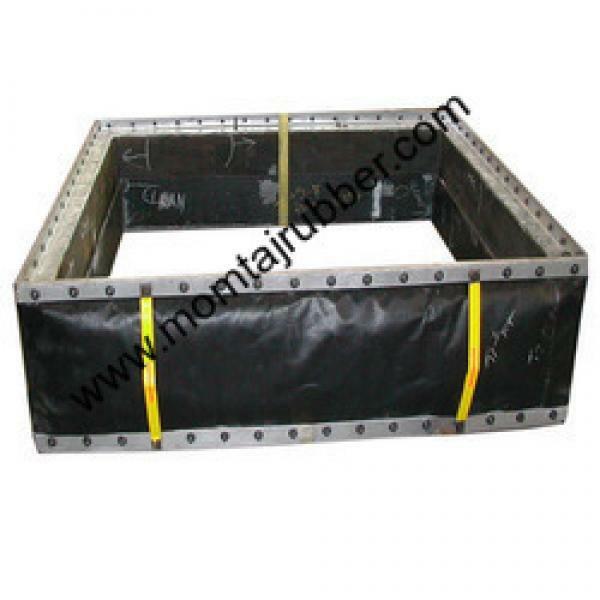 Fabric Expansion Bellows are widely used to facilitate movement in the all piping system. Fabric Expansion Bellows are a manufactured with quality rubber, like moulded rubber products and rubber moulded spares of neoprene, synthetic, silicone, nitrile, Viton, butyl, EPDM, P. U. Teflon etc. Fabric Expansion Bellows can sustain harsh industrial pressure and hence are highly durable. We offering these Bellows are available in market various size and shape, like Circular Bellows, Rectangular Bellows, Square Bellows, Hexagon Bellows, 'C' Type Bellows, Camera Type Bellows, and Roller Guard Bellows etc. Expansion joints are a crucial component to an industrial piping system, allowing for movement caused by thermal expansion and equipment vibration. This expansion and vibration can be detrimental to the integrity of the machines and nearby equipment. Expansion Bellows are also used in Liquid, Oil, Coolant, Water, Dust, Hot air, Metallic chips, Powder, Granules, Smokes etc. Square Bellows, Hexagon Bellows, 'C' Type Bellows etc.